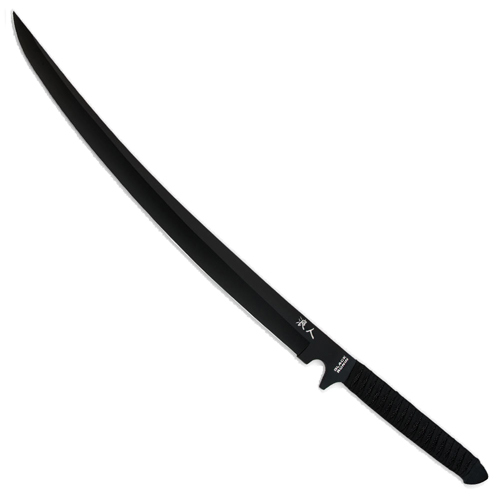 Release your inner ninja with this UC Black Ronin Combat Sword that features a long 457mm stainless steel blade. The grip is covered with a hand-wrapped black nylon cord for a rigid grip. The all-black colouring of the blade has a non-glare, tactical finish. Includes a shoulder scabbard.